Went on a tour of Mid Century Modern churches. Didn't burst into flames. It was a good day. The devout construction of worship houses over the centuries has led to some killer architecture. God obviously loves good design. Columbus, Indiana's rich architectural pedigree holds a rapturous collection of Mid Century Modern churches. These structures elicit reverence from even the most hedonistic architecture lover. 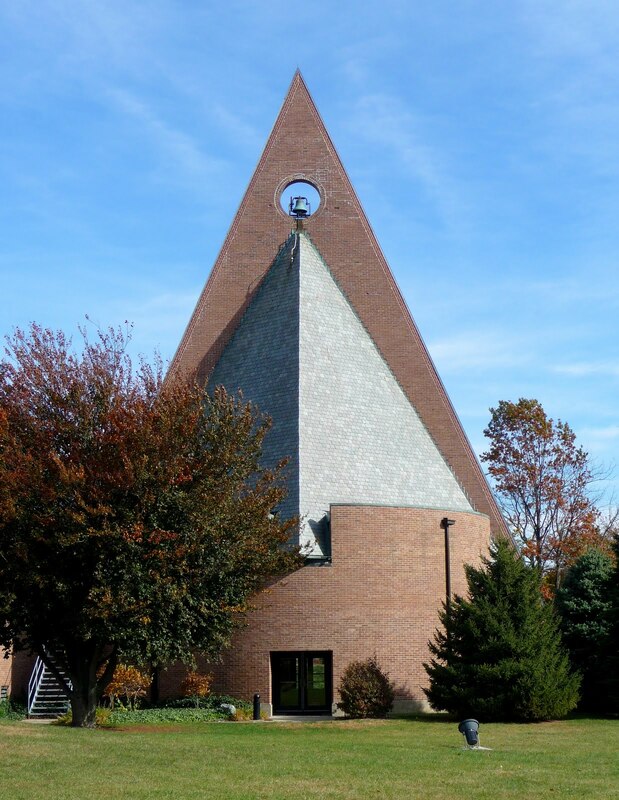 We'll start with Mr. Harry Weese's First Baptist, built 1964. If modernism were a religion, Saarinen would be my denomination. 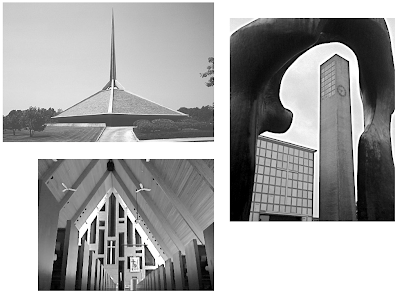 And Columbus is the only city in the world to boast churches built by both Saarinens. It's worth a pilgrimage. Eliel Saarinen's First Christian, 1942. Stand just right and the Henry Moore sculpture frames the church. By design. Religious or not, these structures are truly spiritual. I pray you make your way to Columbus, IN to see this stuff in person. Love this post! It looks like every inch has been untouched. We might take some of these ideas and incorporate them into our eco friendly modern renovation! Very lovely church.I am glad that because nobody posted these beautiful church's photo before this. I would like to thank to you. 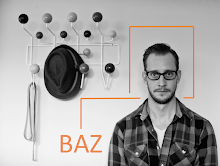 Hey, Baz! Know it's been a couple of months since you posted this re: churches, but there's one you've missed...the United Methodist Church on Madison Ave. in Greenwood, Indiana. Should really take a peek at the sanctuary, it's a MC master marvel (inside & out)! Attended when a child and have since moved away to another Indiana town, but recently visited the hallowed halls. Hardly a thing has changed. And what HAS been added was done so sympathetically. Maybe an update of more found in Indiana? Can't wait! Your blog is one of the faves of this mid-century modern gal!